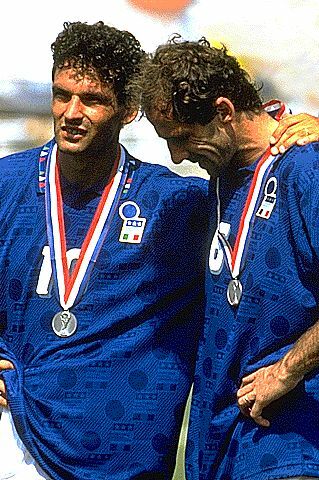 Roberto Baggio and Franco Baresi with silvermedals. Both had played outstanding throughout the tournament, but missed in the penalty shoot-out. Copyrights © 1998- - This website is created and maintained by Jan Alsos. It is an unofficial website not affiliated or connected in any way to FIFA. All rights reserved.